" " wisno wood furniture finishing: Sengon for plywood. Sengon (Albizia chinensis) is very fast grow tree. In the proper climate and soil, the sengon tree can grow and harvested with much shorter age then other wood tree. Normally the tree can be harvested at 5 year to 7 year age. The sengon plantation can be managed easier than the other wood. Sengon plantations can be made in a small area with less capital and effort but give the certainty revenue. Many sengon wood are planted by the villagers. The residents in the mountains slope in Java such as: Temanggung, Wonosobo, Salatiga, Boyolali, are preferring to plant sengon instead of other wood. The easiness in selling the timber is also the other factor that make the sengon wood is very attractive for the people. In the other side, many peoples plant sengon also give advantages to the industries that cultivate the wood. The industries can utilize the wood without any supply problem. Instead of the abundantly supply, the sengon wood offer many advantages to be used as raw material in the woodworking industry. It is lightweight, malleable, less price easy to be processed. The wood does not have nice grain and beautiful looked as: teak, mahogany or mindi, etc. It is not suitable to make wood products that require the beauty wood appearance. It is also not strong enough to make construction that need maximum strength. Sengon wood is an ideal material to be used for interior part and support to make many product in the woodworking industry. It is most used to make drawer box, furniture support, inside of the wood panel, inside of the wall panel, etc. One of sengon utilization is to make plywood. Sengon plywood offer many advantages; it is lightweight, durable, inexpensive and quite strong. 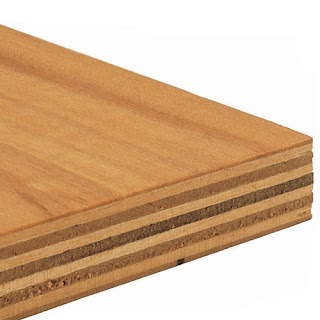 The plywood construction can increase the strength of wood be 3 than the solid wood panel board. With proper gluing the plywood will be stronger than bare core or laminated wood. The plywood can be marketed with higher price then the bare core. To make the plywood we need the better quality wood. The wood to make the plywood must be straight and quite big in diameter ( 60 cm up). The wood is sliced with rotary slicer to make veneer. The veneer layers then are dried and glued to make the plywood. At least 3 layers of veneer needed to produce plywood. With cross banding lamination the wood will have equal power to the length and width. The plywood change the timber that has varies properties becomes more uniform, strong and versatile. The plywood construction also reduce the risk of splitting and puncture to produce the rigid and high impact resistant. See our previous article: plywood for wood panel. Sengon plywood is marketed with various thicknesses. The standard size are : 6mm, 9 mm, 12 mm, 15 mm or 18 mm. The sengon plywood can be sold for panel products that do not require the good wood appearance such as: core board, back panel, drawer box and support panels for furniture or to make the panel for low end furniture. A beauty wood can be laminated at the face and back to produce plywood boards with better looked. Meranti, mahogany, mindi or other nice wood can be used as the ace to increase the value of the plywood. The panel can be use to make top panel, side panels, front drawer at the cabinets, tables and other wood product. furniture. It could be better choice instead of the solid panel because it is lightweight, relatively inexpensive with strength and looked is very similar to the solid wood boards. As engineering products, plywood sengon is also relatively more stable and have uniform properties compared with solid wood panel. As with all types of furniture, there are many different qualities of wood furniture to meet your individual needs and budget. The majority of the furniture you see today is a combination of solid wood and real wood veneer. The furniture manufacturer are forced to reduce the cost since the tough competition in his industry. each timber has its own character. The teak wood is one of the expensive. On the other hand the sengon is classified as the cheap wood. It could be the cheapest wood but with many advantages properties.